The sun is setting and the candles on the chanukkiah are glowing. Today is the eight and last night of Chanukah and I would like to share with you some of the wines I drank….more like tasted…so far over the holidays. I have already cleaned up the dishes and wiped the stove clean from all that cooking for this evening. Now I’m ready to sit and relax and wait for the New Year. Hanukkah was never so simple! 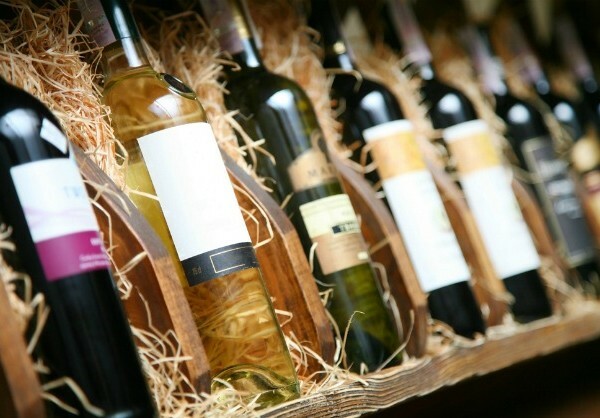 Choosing the best wine for the holidays can be easy, too. This year I’ve got a few wines in mind that can match up with some of your holiday foods and desserts. 2010 Duchessa Lia Moscato D’Asti (Italy); $15. This sweet white wine is only 5.5 alcohol content; yes more like juice for some of you, but I love it. This wine is straw yellow, with a light golden reflection. The aroma is intense, with wisps of fresh fruit; it’s sweet and aromatic. It’s ideal for after dinner with desserts like tarts, cakes and pastries. For me it’s a wonderful sweet wine! 2010 Bartenura Moscato Rose (Italy); $15. This sparkling wine is a light rose color with a weekday-friendly low alcohol content of only 7.5% and a delicate fragrance and sweet taste. It pairs well with fruit, cheeses and desserts. It is best served chilled. 2010 Carmel Single Vineyard Riesling (Galilee); $22. An off-dry white wine made from White Riesling grapes, grown in Kayoumi Vineyard, at an elevation of 780 meters above sea level in the shadow of Mount Meron. The wine is pale straw with tints of green, and has an aroma of blossoming citrus, green apple and lime, with a prominent and refreshing acidity. 2009 Alexander Syrah (Galilee); $36. This one has a deep red color with a shiny black tint. Aromas and flavors of red and black berries, with black pepper and spice. A long finish with excellent aging potential. The wine was aged for 20 months in French oak barrels. Adar de Elvi Cava Brut (Spain); $20. Bubbly, and dry with flowers, citrus and strawberry. The dry white sparkling wine is a blend of three local grape varieties: Perellada, Macabeo and Xarel-lo. The second fermentation takes place in the bottle and the wines are aged for 12 months in the bottle.